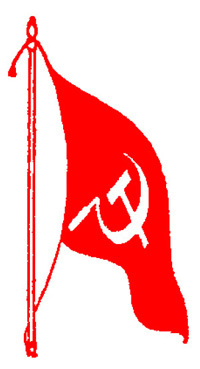 The International Committee to Support the People’s War in India proposed a Spring Thunder Tour – a series of coordinated initiatives in various countries for information and support to the people’s war in India – currently the largest armed struggle of the masses in the world – in the 2nd most populated country in the world, that affects a “red corridor” of Indian states, with about 100 million inhabitants, led by the Communist Party of India (Maoist). The countries reached by the call for the campaign are, in Europe, Italy, France, Galicia, Spain, Austria, Germany, Greece, Turkey, Great Britain, Holland, Belgium, Portugal, Norway, Sweden; outside Europe, in Northern America USA, Canada; in Latin America: Brazil, Colombia, Chile, Mexico, Ecuador, Bolivia , Panama; in Asia: the Philippines, Nepal, Bangladesh, Manipur, Sry Lanka, Afghanistan, Pakistan; in the Middle East/Maghreb: Tunisia. Other countries may be added during the construction. It was called Spring Thunder Tour because Spring Thunderwas named the armed peasant uprising in Naxalbari, whose 50th anniversary occurred in 2017. Part and articulation of that is the campaign is against the Operation Green Hunt – gigantic and protracted repressive and annihilation general offensive against the armed struggle and mass struggles launched by the Indian state, today led by the Modi’s fascist Hindutva regime. As part of this operation, at its third phase, there are massacres, deportations of populations, devastation, mass rapes and huge and repeated waves of arrests, disappearances, affecting cities and countryside, universities and mass movements with systematic violation of human rights. It results in 10,000 political prisoners, including some prominentscholars, such as Professor Saibaba, intellectuals, artists, lawyers, student leaders and of course some prestigious Maoist leaders such as Kobad Gandhi, Ajith and others. In Europe on the issue of the political prisoners and Dr. Saibaba there is also a democratic mobilization and specific pressures on the European Parliament and European governments. From the launch of the campaign to now, in some countries there are confirmed joinings, in other discussions that have not yet been concluded. Therefre, the International Committee is not yet in condition to define the timetable for the Tour, that in any case in May / June will start from some countries – first Italy – and will last throughout the 2018. At the end of the year, an international meeting of the forces in movement will make further decisions. The campaign includes initiatives and actions also towards the Indian multinationals present in the different countries and the war industries involved in relationships with the Indian government. Of course the latter are related to the struggles of the workers in India and repressions against them, above all the story of the Maruti Suzuki workers, the mass repression and sentence to life imprisonment for 13 workers. As regards the specific democratic campaign towards the European Parliament, after a meeting already held in January, an ad-hoc committee – India Solidarity Committee – has been promoted , that with petitions and publications will reach many countries and also the political forces present in the European Parliament, as well as embassies, consulates, economic and cultural institutions related to India. This campaign will continue until the next European Parliament elections, scheduled the next year.